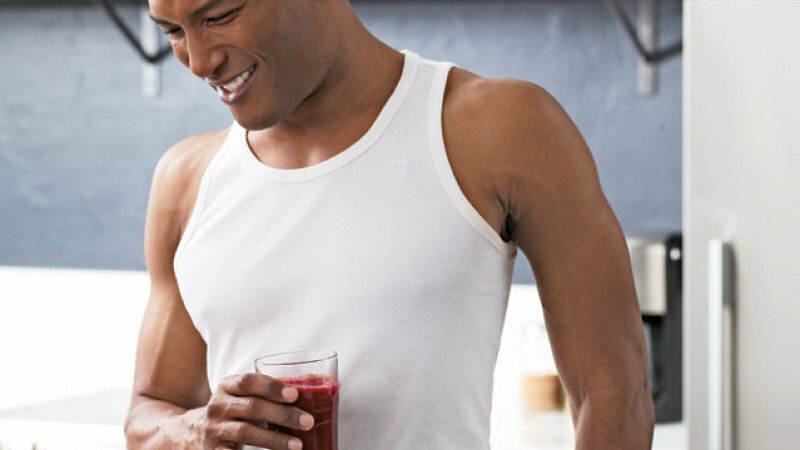 Beets and beet juice, sometimes referred to as “sweet dirt,” have become very popular with endurance athletes as of late and for good reason. Beets are high in organic nitrates which, when consumed, are converted to nitric oxide. Nitric oxide is responsible for enhanced neural transmission, muscle contraction, and most importantly for endurance athletes, vascular dilation. This dilation of blood vessels increases blood flow and thereby oxygen delivery to working tissues. A study conducted by the University of Exerter’s School of Sport and Health Sciences found that cycling performance improved by 16 percent in male cyclists who consumed 700mg of a naturally occurring nitrate compared to a group who consumed a placebo. This would indicate foods rich in nitrates such as beets and dark green leafy vegetables are beneficial in improving endurance activities, especially when consumed in a freshly juiced form. Other benefits prominent from the consumption of naturally occurring nitrates is a notable decrease in systolic blood pressure and improved recovery time from exhaustive exercise. Foods high in nitrates are also rich in antioxidants, which reduce inflammation throughout the body. Inflammation is a primary cause of atherosclerosis and can lead to heart attack or stroke. So not only will consuming beet juice improve your performance during endurance activities but it may very well reduce your risk of heart disease! Previous articleCastro is Gone, Trump Takes Office. What Does That Mean for Sports?